Product prices and availability are accurate as of 2019-03-27 09:02:19 UTC and are subject to change. Any price and availability information displayed on http://www.amazon.com/ at the time of purchase will apply to the purchase of this product. 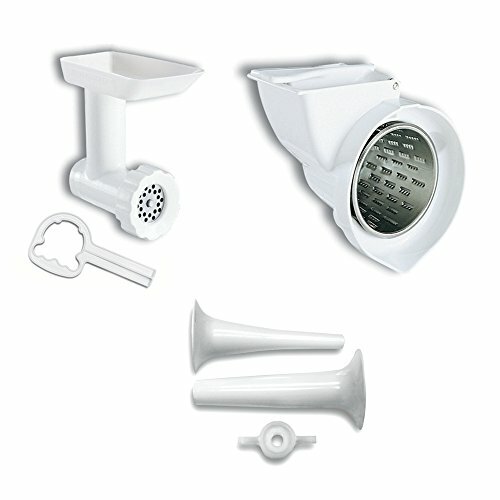 Add extra versatility to your KitchenAid stand mixer with the KitchenAid KGSSA Mixer Attach Pack - White. 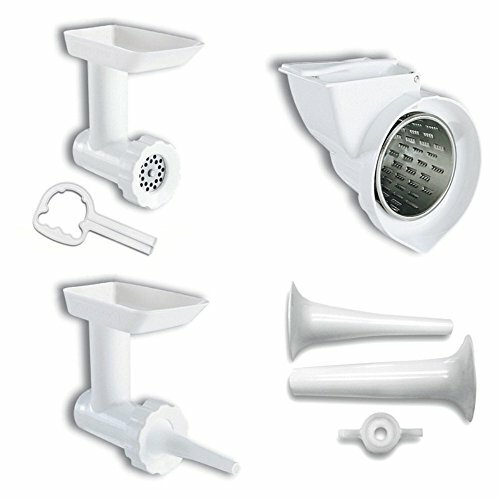 Designed to work with all KitchenAid models built after 1990, this set includes a food grinder, sausage stuffer, and slicer/shredder. For over 80 years, KitchenAid has been devoted to creating innovative cookware that inspires culinary excellence. From the original Stand Mixer first created in Troy, Ohio, this industry leader now offers a wide assortment of cookware, bakeware, kitchen accessories, and appliances. All products are designed with your cooking needs in mind and are engineered to exceed the highest manufacturing standards. Since 1919, KitchenAid has been synonymous with quality and value. As a result, all KitchenAid products are backed by exceptional, industry-leading warranties. Check out the complete line today. Grinder, slicer/shredder, and sausage stuffer. 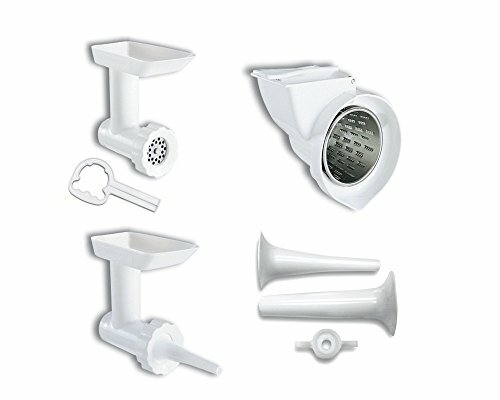 Fits all KitchenAid stand mixers built after 1990. Installs easily on attachment hub.